It was confirmed earlier today that, after being attached to play Eric Draven in Sony's The Crow reboot for nearly two years, Jason Momoa is leaving the long-gestating project. Now the actor has issued a message to his fans. Momoa took to Instagram this morning to express his love for director Corin Hardy, who also left the project after being attached for three and a half years, and Sony Pictures, while stating that he'll be ready to play Draven when the film is "right." Here's Jason Momoa's statement to the fans below. "I've waited 8 years to play this dream role. I love you @corinhardy and @sonypictures unfortunately I may have to wait 8 more. Not our team. But I swear I will. James O'Barr sorry to let you down I won't on the next. This film needs to be set free. And to the fans. Sorry. I can't play anything but what this film deserves and it needs love. I'm ready when it's right. Love u Corin aloha j"
While Momoa wouldn't offer any specifics about why he left the project, it seems that something is just not right about the reboot, whether it be the story, budget, production schedule or any other element that could impact the production. Still, this project falling apart now, after there were pieces in place that may have represented its best chances of getting off the ground yet, is disheartening for the fans. While this is just the latest incarnation of The Crow reboot to be put together, this version has been in the works for nearly a decade. The Crow reboot first moved forward with director Stephen Norrington (Blade) back in 2009, with Nick Cage (The Proposition) brought on to rewrite the script in 2010 and the production even eyeing actors like Mark Wahlberg to play Eric Draven. Norrington backed away later that year, while Wahlberg passed on the project to make the Universal comedy Ted instead. Juan Carlos Fresnadillo (Intruders) was attached to direct in April 2011, with Bradley Cooper being eyed to star as Alex Tse (Watchmen) was brought aboard to rewrite the script. After Juan Carlos Fresnadillo left in October 2011, F. Javier Gutierrez (Before the Fall) signed on to direct in January 2012, with Jesse Wigutow (It Runs In the Family) coming aboard to rewrite the script. There was talk of James McAvoy and Tom Hiddleston to play Eric Draven before Luke Evans came aboard to star in May 2013. It was looking like this version would actually get off the ground, but F. Javier Gutierrez backed away, leading to music video director Corin Hardy stepping in to direct way back in December 2014. Luke Evans left a month later, with Jack Huston boarding in March 2015, and Jessica Brown Findlay coming aboard to play Eric Draven's slain fiancee Shelly. The remake was then stalled by Relativity's bankruptcy proceedings, with the project ultimately shifting from Relativity to Sony. 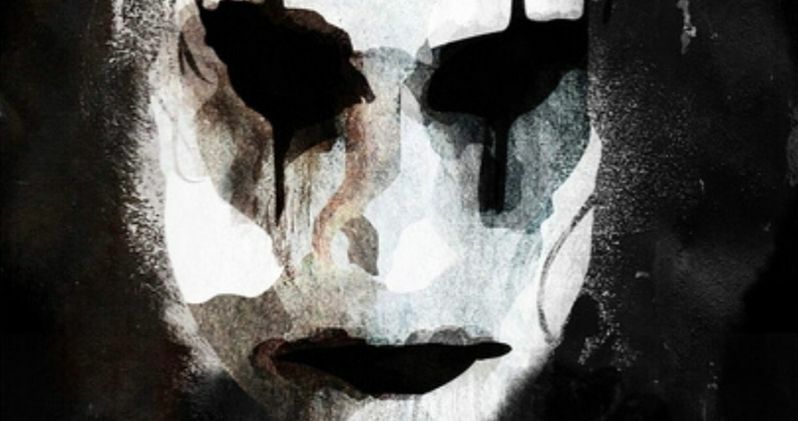 You can take a look at the post from Jason Momoa's Instagram below as we wait for the latest on the long-gestating reboot of The Crow.